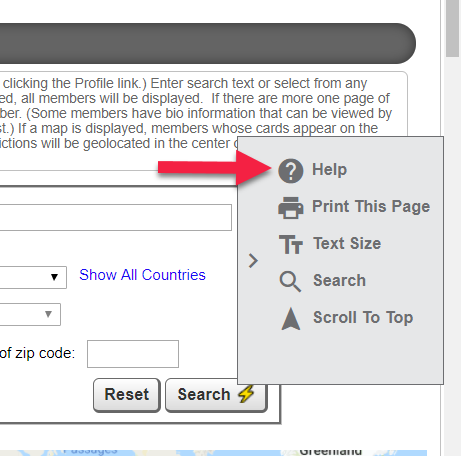 When navigating the New Jersey Woodturners web site using a computer (not a mobile device), context sensitive help is available from the slide-out page tools widget on the right side of your browser window. For online help for any website page or popup screen you are currently looking at, click the Help icon. For web pages, the help icon is located in the "Page Tools Widget" that is displayed either as a grey floating tool, or as a slide out widget at the right edge of the screen. In popup screens, the help icon is displayed in the top border of the screen. At the bottom of all help screens, you can click the See Also links for related help screens. You can click the drag the bottom right corner of a help screen to the right to widen it for easier viewing. 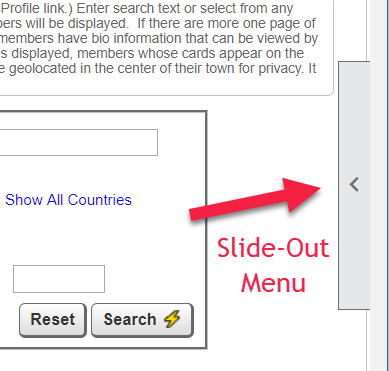 When you click on the slide-out, a menu displays that is appropriate for the current task or page. 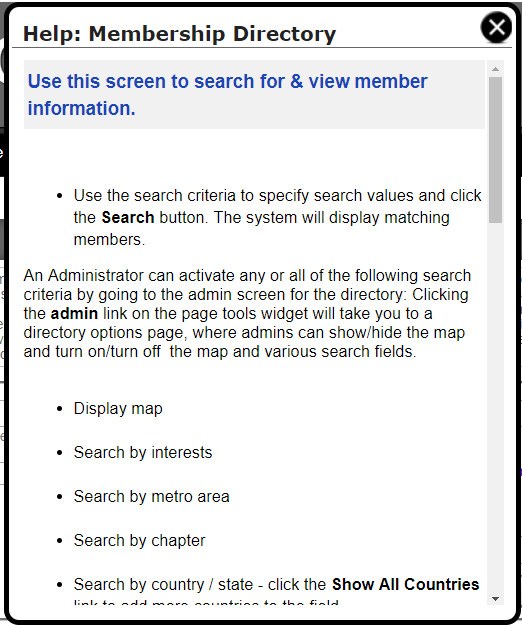 In this case, a search icon is provided to filter the Membership Directory list. Help is available pretty much everywhere.